Triumph’s Tiger name has been a staple of the British manufacturer’s line-up for years and the latest version of the historic name is one of the best yet. It’s taken the good things from its predecessor, the fact that it’s something of an all-rounder, add added a few more premium features to come up with the XR and XC models. 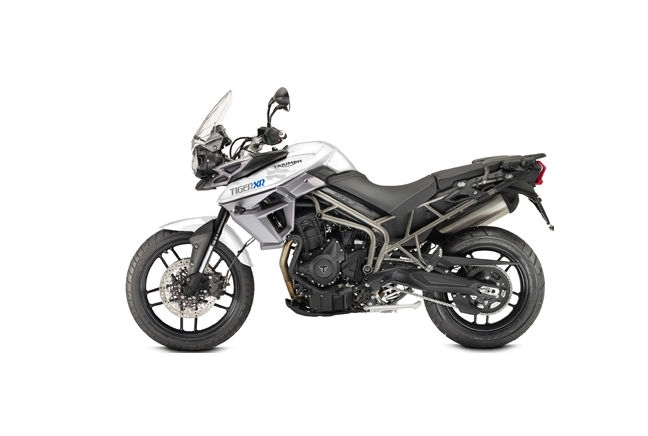 The XR is another Tiger adventure bike while the XC is an off-road capable model. At the top of the range, both models come with an ‘x’ specification which offers more equipment and high-end technology. That means three programmable riding modes and options to alter the impact of ABS, traction control and a choice of throttle maps. It’s powered by an 800cc, 94hp powertrain and will cost £8,499 when it arrives in Spring 2015.